The Caribbean-flavored climate, scenery, and all-around vibe of Miami, Florida all seem to cry out for tropical cocktails. And while you’ve got no shortage of bars and restaurants at which to enjoy such carefree libations, we don’t think you can do better than our V&E restaurants! Two truly classic Miami mixed drinks are the mojito and the margarita. The rum-based mojito, of course, hails from Havana, Cuba, while the margarita is the signature Mexican tequila cocktail. 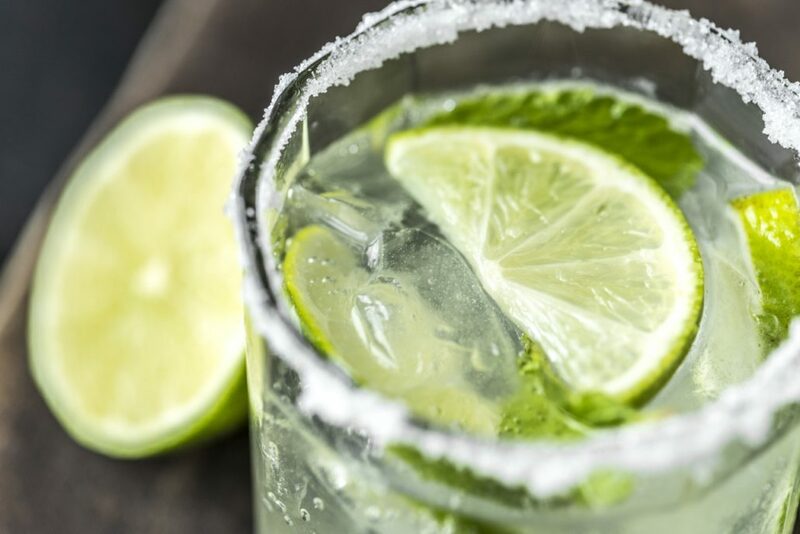 If you’re in the mood for either of these refreshing beverages, we invite you to any one of the following V&E establishments: You can’t go wrong! Consider Havana 1957 on polychromatic Espanola Way your South Beach mojito headquarters. With a name like that and a specialty in Cuban cuisine, would you expect anything else? Here you’ll find a trio of Classic Mojitos–the South Beach Mojito, the Mojito Clasico, and the Ultimate Mojito—as well as a whole produce stand’s worth of Fruity Mojitos: from the “MANGOJITO” to the “KIWIJITO.” And then there are the Miami Beach Mojitos: one enhanced by Red Bull, the other (our “Diet Mojito”) made with Splenda. A word to the wise, in case you’ve got a crew in tow with you: At Havana 1957, you can order mojitos by the pitcher. Our newest Miami Beach restaurant, La Cerveceria de Barrio Miami is the first stateside outpost of our popular Mexican chain of seafood cantinas. If you’re thirsty for a margarita, you’ll be in heaven here: The eatery offers a lovely array of ‘ritas on the rocks—from the Classic Margarita to cucumber, jalapeno, watermelon, passion fruit, and other variations—as well as a feast-full of frozen margaritas in similarly varied, fruity flavors. La Cerveceria de Barrio Miami also serves mojitos, mind you, and has quite the Happy Hour drinks menu: Both margaritas and mojitos are a mere six bucks! Oh! MEXICO has been pouring mojitos and margaritas of the uppermost quality since 1997. Go for the House Margarita or the Skinny, or maybe consider assembling your own ‘rita with jalapeno, cucumber, kiwi, or watermelon. If you’ve got a table full of thirsty folks, order a margarita pitcher. Oh! MEXICO backs up the margaritas and mojitos with some awesome mezcal cocktails, micheladas, and a superb roster of high-end tequilas for the discerning palate. Classic margaritas, a Spicy Cucumber Margarita, and a sturdily made mojito are only a few of the cocktail creations you can enjoy at Barsecco, also celebrated for its varied martini offerings.